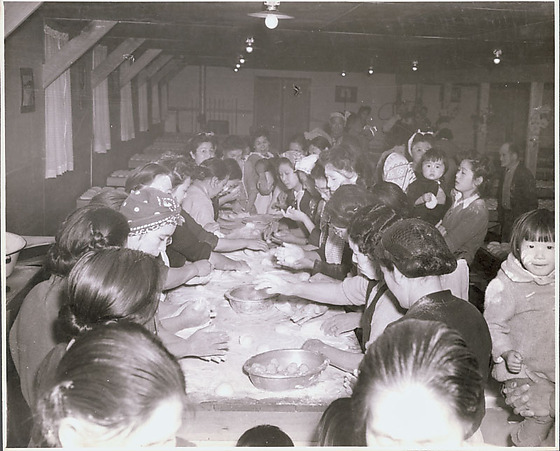 1 b&w; image of mochitsuki taken at an unspecified California concentration camp. Interior of large room, women wearing aprons and with their hair tied back are working along a long table. They are rolling mochi. Finished mochi are lined up on the tables along the walls and on the tables to the R.